850,000 people are currently living with dementia in the UK, and the number is expected to rise to over 1 million people by 20251. With the disease expected to continue its upward trajectory to reach 2 million people by 2050, many of us will be either directly or indirectly affected by the disease during our lifetime. Because of the degenerative nature of dementia, and the fact that it impacts brain function, a diagnosis can be particularly upsetting. With the search for a cure a priority among researchers around the world, the hope is that it won’t be too long until we have treatments that are effective at halting the disease. Until then, it is important to focus on helping people with dementia to live well, live independently wherever possible, and to treat them with sensitivity and dignity. In this guide, we’ve brought together a series of resources and ideas from charities, healthcare organisations and support services to guide you through how to access, and ask for, sensitive dementia care. No person wants to be defined by their illness so the overriding principal when giving or seeking care is to begin with treating the person as an individual. We all have our own likes, dislikes and life stories and every person’s experience of dementia will be an individual one. Listen to the person. Give them time and remove distractions like background noise. Remember too that they may want to talk about feelings, not just facts. Many people dislike staying in hospital and for those with dementia it can be especially disorientating due to unfamiliar surroundings and potentially dozens of staff passing through their life each day. The Butterfly Scheme was created with the express aim of empowering people living with dementia to be able to indicate to staff via a symbol that they may require additional or specialised help. In participating hospitals, the scheme’s symbol triggers a taught care approach, including a specific set of dementia care skills. This helps trained staff members to provide the right kind of care according to the individual’s wishes. Adopted by 150 hospitals across the UK and Ireland, the Butterfly Scheme was highlighted for its positive impact in Age UK’s ‘Promising Approaches to Living Well with Dementia’ report3. For friends and family members, it can be useful to refer to the resources on the websites of the Alzheimer’s Society and Dementia UK. Both outline what dementia is, the impacts on an individual’s emotional and physical wellbeing and how to look after yourself when you’re caring for someone with dementia. There is also the newly created role of Primary Care Navigator or ‘PCN’. A PCN is a healthcare professional who is tasked with finding support for people with dementia, and their families, through better navigation and social – not clinical – prescribing. The role was created after it was discovered that many patients with dementia visiting their GP had needs that related to social care and wellbeing. To find out more about PCN provision in your area, ask your GP. An additional source of help and support can be found via Dementia UK’s Admiral Nurses who provide specialist 1-to-1 dementia support to individuals and their families. To find out where your nearest Admiral Nurse is located, visit: https://www.dementiauk.org/get-support/find-an-admiral-nurse/ . Alongside general hygiene and health factors, the home environment is critical to those living with dementia. 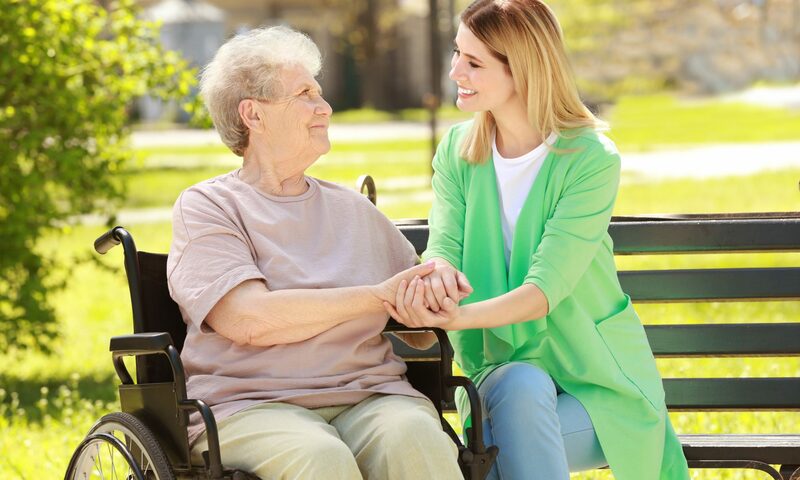 Understanding the person’s preferred daily routine, cherished items and favourite meals will all help in terms of the individual’s overall sense of wellbeing. It may be possible to extend the amount of time that an individual living with dementia can stay in their own home by engaging the services of a carer, either on a visiting or live-in basis or as a means of providing respite for the main carer. This can be to assist with individual tasks such as toileting or medication or to provide ongoing companionship. It can also overcome issues associated with local authority carers arriving at unfamiliar hours / inconsistency in the person providing care. For some people, once their dementia progresses beyond a certain stage, a care home becomes the best option. In these circumstances selecting the right home is vitally important to ensure that the transition and eventual move is successful. Activities undertaken by the care home in partnership with external groups – do they, for example, having visiting music therapists or have the ability to engage with other community groups? Ongoing communication with the care home – what do other relatives of residents have to say?